With almost a dozen Core i9-8950HK laptops under our belt, we have a pretty good idea about how these unlocked CPUs can perform. Average CPU performance is just 8 to 9 percent faster than the average Core i7-8750H laptop for a disappointing first year debut. Intel formally announced the Coffee Lake-H series for laptops on April 2018 consisting of new Core i5 and Core i7 SKUs to supplant the previous generation Kaby Lake-H Core i5 and Core i7. 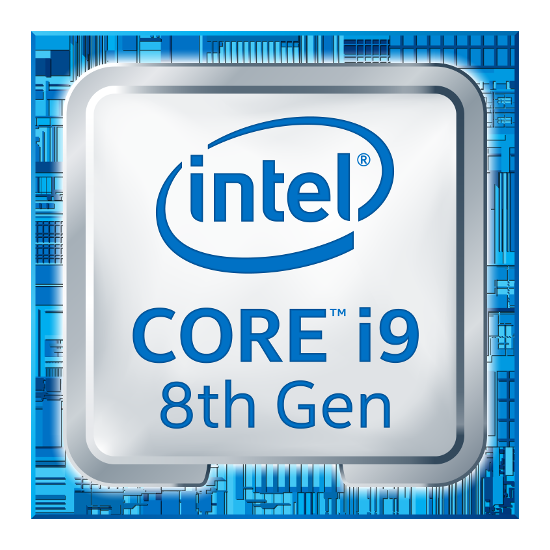 While the refresh itself wasn’t surprising, the revelation of new Core i9 options certainly was. Can such a high-power processor really run on a laptop form factor? After testing over 10 different laptops with 45 W Core i9-8950HK processors, we can safely say that the performance advantages are minor on average and significantly smaller than the jump between Core i5 and Core i7. At best, users can expect a raw multi-thread performance boost of 25 percent over the average Core i7-8750H, but performance can actually be slower than the Core i7 at worst depending on the laptop. The Dell XPS 15 9570 and MacBook Pro 15 2018 Core i9 configurations are perhaps the best examples of this. 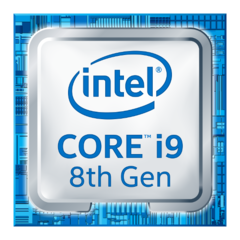 In order to best exploit the Core i9 CPU, the processor must run at high Turbo Boost clock rates for long periods. Unfortunately, most laptops like the Dell or Apple just don’t have powerful enough cooling solutions for the task and so performance throttling inevitably occurs to keep core temperature in check. The CPU would swiftly stabilize at its base clock rate to ultimately be just a hair faster than the Core i7. Our chart below compares the CineBench R15 Multi-Thread scores of numerous Core i9 laptops against the average Core i7-8750H taken from a sample set of almost 70 different laptops. Many OEMs charge $300 or more just to upgrade from a Core i7 to a Core i9, but we highly recommend standing firm with the Core i7 option and then spending the extra cash on other key specifications such as higher storage capacity, RAM, or a faster GPU. Users who really want Core i9 on a laptop ought to consider Clevo or Eurocom models as these systems carry standard LGA1151 sockets specifically designed to run desktop CPUs at comparatively higher TDP ceilings.